My name is Hayley Guymer and I am the Year One teacher. In our classroom we provide an engaging, creative, fun and safe learning environment where learning is structured and routines are established. Lessons are delivered in an innovative, creative and interactive way using ICT and the outdoors. I am a strong advocate of outdoor education and have a passion for outdoor learning on and off site. 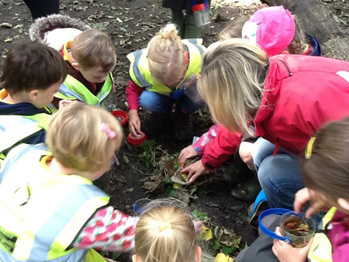 We regularly visit the woods and beach to engage in outdoor maths, literacy and environmental studies. Activities are designed to promote and instil a love for the outdoors. As a team we support the ‘whole child’ taking a holistic approach. We encourage independence, perseverance and active attitudes. Our day to day timetable includes a literacy and numeracy lesson every morning and a cross curricular topic afternoon. These include many visits to offer children invaluable opportunities and experiences to extend and consolidate their learning and understanding. Every child has the opportunity to contribute ideas about what they would like to learn and every afternoon we have child initiated activities. We have formed links with industry, giving the children an opportunity to visit Tesco ‘Farm to Fork’ initiative. The children can make bread, pizzas, fruit tasting and investigating foods from around the world. 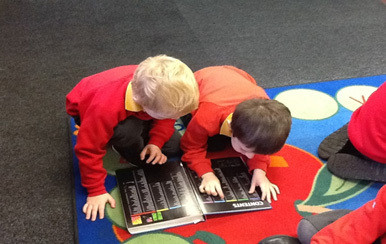 Our aim is to encourage good habits and we ask children to read regularly at home and learn their times table. Children have an opportunity to complete maths interactive learning programmes on the computer. We encourage children to bring in two healthy snacks and water on a daily basis. Milk is provided at morning break. All children require a PE kit on a Tuesday and Wednesday. We encourage children to leave wellies in school so we can access the outdoors at any time. We endeavour to provide a broad, balanced fun curriculum that all children can access.